The most amazing blueberry muffins created us in the lobby as we checked out (as early as dawn would allow). We were in Whitehorse by 8 am, even with a photo stop. Obviously, we couldn't check in to our hotel... so we headed over to the Beringia Interpretive Centre. This place was really engaging for all ages and will make you rethink how animals came to exist as we know them today. They even taught us how to throw atlatls, which were the weapons predominantly used before bow and arrows. We then walked over to the Yukon Transportation Museum where I was also impressed. Of course, I was most taken with Ephraim J. Hamacher's photography. He moved to Whitehorse in the early 1900's and set up a studio in a town of 300 people. His work beautifully documents early life in the Klondike. Around lunch time, we attempted to check into our hotel, but our room wasn't ready. 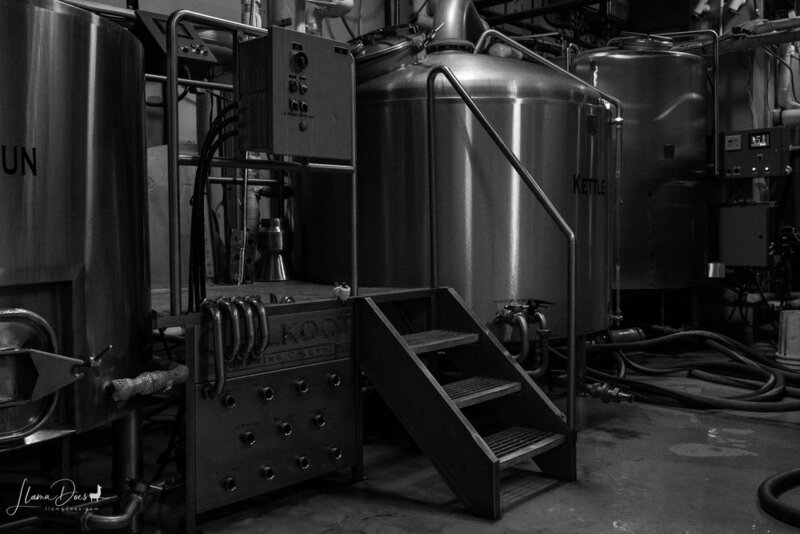 All of this culture and learning, we decided to have some fun and head over to Yukon Brewing for a tour. We just missed the 12:00 tour, so we signed up for the 2:00. In the meantime we found lunch at the Weenie Wagon - where mom requested that we order poutine. Yes, mom wanted french fries covered in cheese curds and gravy. Day 26 stats: 128 miles, 0 (new) states, 0 (new) NPS, 45 Subarus. Running stats: 4,939 miles, 12 states, 24 NPS, 1,362 Subarus.